Registration will be closed at 11:00, 16 Mar., 2018. Those who are not registered may try to walk in on a first-come, first-served basis. 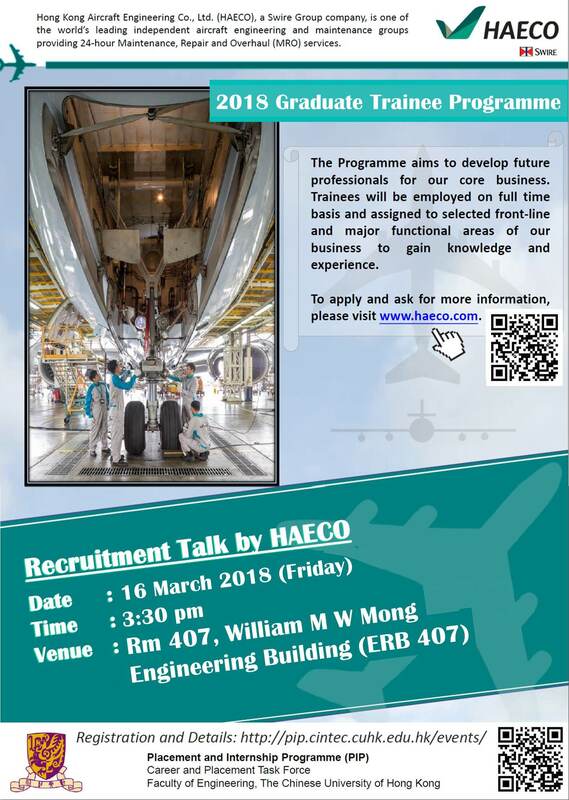 The Programme aims to develop future professionals for our core business. Trainees will be employed on full time basis and assigned to selected front-line and major functional areas of our business to gain knowledge and experience. 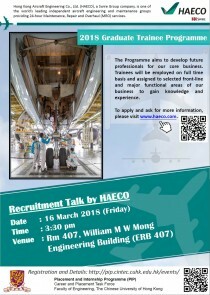 To apply and ask for more information, please visit www.haeco.com.